It’s Working! My First Big Paycheck and How I Got There. It’s not always the easiest thing to talk about….but what if it was?! What if we talked about money the same way we do the latest detox trend or our fave Instant Pot recipe? I want to talk about it. Because I want to help you realize it’s possible to go from broke to (NO JOKE), making the money you’ve always wanted to make! 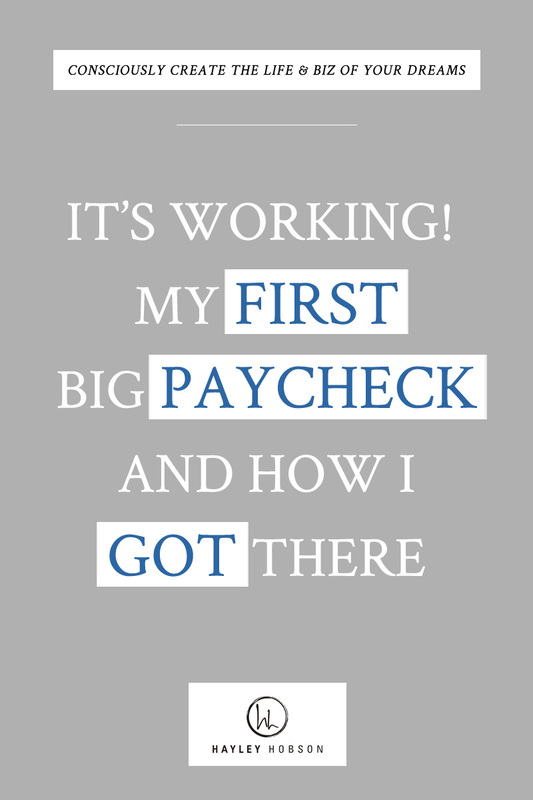 I want to talk about the moment I got my biggest paycheck ever. But let’s do the moonwalk for a moment and take a step back. Before this life-changing moment happened, I was working as a lawyer earning about $100,000 a year and getting a paycheck every two weeks. I definitely wasn’t stoked about my job, left the field of law and became an yoga and Pilates teacher and all of a sudden, I felt like the money I was making wasn’t fully in my control. No clients, no money. I had to hustle to make that 6 figure income again. So I decided to make some changes in my life and it was only when I got my first paycheck from doTERRA...seeing ALL that money come in at ONE TIME….that I started to... BELIEVE. Want to know how it felt and how you can get there yourself? Push play to listen above!